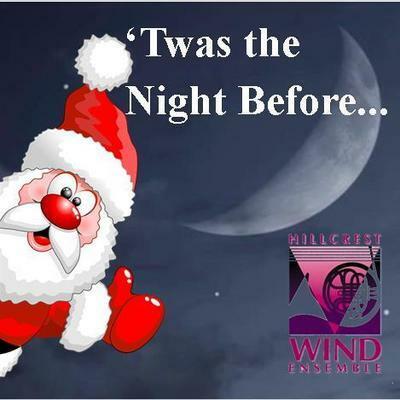 The Hillcrest Wind Ensemble presents 'Twas The Night Before Christmas, Saturday, December 15th in the Liberty Hall ballroom of the Courtyard Marriot at Airport Liberty Station, 2592 Laning Rd. Concert time is 7:00pm with complimentary hors d'oeuvres at 6:30pm. The night is sure to put you in the holiday spirit with many Christmas standards, a rousing Hanukkah medley, and even an audience sing along. The ensemble welcomes back local vocalist Leviticus and will have special narrators telling the stories of "'The Night Before Christmas" and "Yes Virginia, There Is A Santa Claus". A no-host bar and exciting raffles will round out the evening.